It’s amazing how many people try to call the USPS Customer Service phone number each day about tracking related issues or missing or delayed packages and are unable to speak to a live person. Getting a real representative can be a challenge. We can help. Follow our steps below to talk to a real person at the Post Office. Phone Number: If you need to speak to a Customer Service Guide representative at the United States Postal Service (USPS), the best phone number to call is 800-275-8777. This includes tracking lost packages or general questions about something you’ve mailed or a package you are expecting. How to Speak to a Live Person: It is close to impossible to speak to a live person at USPS so you need to follow the instructions below carefully. 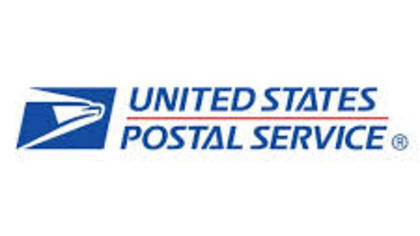 To speak to a USPS representative, call their toll free number at 800-275-8777 or 1-800-ASK-USPS. When prompted, Press 0 wait for the automated operator to start speaking, press 0 again, wait for the attendant to speak, and keep repeating this process until you are able to talk to a human. Support Hours: USPS Customer Service representatives are available from M-F 8:00am-8:30pm EST and Sat – 8:00am-6:00pm EST. They are closed on Sundays/Holidays. Did it Work? Did our instructions work? If yes, GREAT! We hope they resolved your issue successfully. If no, tell us what happened. If you got to a live person using another method, please tell us how, so we can update our information. Since this is a difficult process to speak to a real person, we want to learn all the tricks and workarounds, so if you found a better way to talk to a human, let us know below.